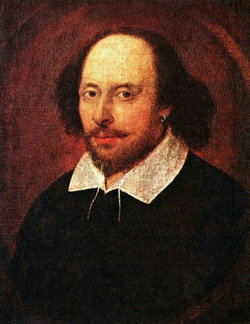 Many regard William Shakespeare as the greatest English poet ever. The history of English poetry stretches from the middle of the 7th century to the present day. Over this period, English poets have written some of the most enduring poems in European culture, and the language and its poetry have spread around the globe. Consequently, the term English poetry is unavoidably ambiguous. It can mean poetry written in England, or poetry written in the English language. The oldest poetry written in the area currently known as England was composed in Old English, a precursor to the English language that is not something a typical modern English-speaker could be expected to be able to read. In addition, there was a tradition of English poets writing also in Latin and classical Greek. Today's multicultural English society is likely to produce some interesting poetry written in a wide range of other languages, although such poetries are proving slow to emerge. With the growth of trade and the British Empire, the English language had been widely used outside England. In the twenty-first century, only a small percentage of the world's native English speakers live in England, and there is also a vast population of non-native speakers of English who are capable of writing poetry in the language. A number of major national poetries, including the American, Australian, New Zealand and Canadian poetry have emerged and developed. Since 1922, Irish poetry has also been increasingly viewed as a separate area of study. This article focuses on poetry written in English by poets born or spending a significant part of their lives in England. However, given the nature of the subject, this guideline has been applied with common sense, and reference is made to poetry in other languages or poets who are not primarily English where appropriate. The earliest known English poem is a hymn on the creation; Bede attributes this to C�dmon (fl. 658�680), who was, according to legend, an illiterate herdsman who produced extemporaneous poetry at a monastery at Whitby. This is generally taken as marking the beginning of Anglo-Saxon poetry. Much of the poetry of the period is difficult to date, or even to arrange chronologically; for example, estimates for the date of the great epic Beowulf range from AD 608 right through to AD 1000, and there has never been anything even approaching a consensus. It is possible to identify certain key moments, however. The Dream of the Rood was written before circa AD 700, when excerpts were carved in runes on the Ruthwell Cross. The works signed by the poet Cynewulf, namely Christ II, Elene, The Fates of the Apostles, and Juliana, have been assigned with reasonable certainty to the 8th century. Some poems on historical events, such as The Battle of Brunanburh (937) and The Battle of Maldon (991), appear to have been composed shortly after the events in question, and can be dated reasonably precisely in consequence. By and large, however, Anglo-Saxon poetry is categorised by the manuscripts in which it survives, rather than its date of composition. The most important manuscripts are the four great poetical codices of the late 10th and early 11th centuries, known as the Caedmon manuscript, the Vercelli Book, the Exeter Book, and the Beowulf manuscript. While the poetry that has survived is limited in volume, it is wide in breadth. Beowulf is the only heroic epic to have survived in its entirety, but fragments of others such as Waldere and the Finnsburg Fragment show that it was not unique in its time. Other genres include much religious verse, from devotional works to biblical paraphrase; elegies such as The Wanderer, The Seafarer, and The Ruin (often taken to be a description of the ruins of Bath); and numerous proverbs, riddles, and charms. 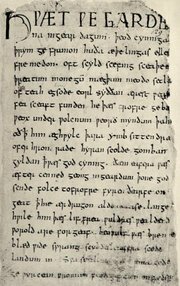 With one notable exception (the aptly-named Rhyming Poem), Anglo-Saxon poetry is written in a form of alliterative verse. With the Norman conquest of England, beginning in 1066, the Anglo-Saxon language immediately lost its status; the new aristocracy spoke French, and this became the standard language of courts, parliament, and polite society. As the invaders integrated, their language and that of the natives mingled: the French dialect of the upper classes became Anglo-Norman, and Anglo-Saxon underwent a gradual transition into Middle English. While Anglo-Norman was thus preferred for high culture, English literature by no means died out, and a number of important works illustrate the development of the language. Around the turn of the 13th century, Layamon wrote his Brut, based on Wace's 12th century Anglo-Norman epic of the same name; Layamon's language is recognisably Middle English, though his prosody shows a strong Anglo-Saxon influence remaining. Other transitional works were preserved as popular entertainment, including a variety of romances and lyrics. With time, the English language regained prestige, and in 1362 it replaced French and Latin in Parliament and courts of law. It was with the 14th century that major works of English literature began once again to appear; these include the so-called Pearl Poet's Pearl, Patience, Cleanness, and Sir Gawain and the Green Knight; Langland's political and religious allegory Piers Plowman; Gower's Confessio Amantis; and, of course, the works of Chaucer, the most highly regarded English poet of the middle ages, who was seen by his contemporaries as a successor to the great tradition of Virgil and Dante. The reputation of Chaucer's successors in the 15th century has suffered in comparison with him, though Lydgate and Skelton are widely studied. However, the century really belongs to a group of remarkable Scottish writers. The rise of Scottish poetry began with the writing of The Kingis Quair by James I of Scotland. The main poets of this Scottish group were Robert Henryson, William Dunbar and Gavin Douglas. Henryson and Douglas introduced a note of almost savage satire, which may have owed something to the Gaelic bards, while Douglas' version of Virgil's Aeneid is one of the early monuments of Renaissance literary humanism in English. The Renaissance was slow in coming to England, with the generally accepted start date being around 1509. It is also generally accepted that the English Renaissance extended until the Restoration in 1660. However, a number of factors had prepared the way for the introduction of the new learning long before this start date. A number of medieval poets had, as already noted, shown an interest in the ideas of Aristotle and the writings of European Renaissance precursors such as Dante. The introduction of movable-block printing by Caxton in 1474 provided the means for the more rapid dissemination of new or recently rediscovered writers and thinkers. Caxton also printed the works of Chaucer and Gower and these books helped establish the idea of a native poetic tradition that was linked to its European counterparts. In addition, the writings of English humanists like Thomas More and Thomas Elyot helped bring the ideas and attitudes associated with the new learning to an English audience. Two other factors in the establishment of the English Renaissance were the Reformation and the opening of the era of English naval power and overseas exploration and expansion. The establishment of the Church of England in 1535 accelerated the process of questioning the Catholic world-view that had previously dominated intellectual and artistic life. At the same time, long-distance sea voyages helped provide the stimulus and information that underpinned a new understanding of the nature of the universe which resulted in the theories of Nicolas Copernicus and Johannes Kepler. With a small number of exceptions, the early years of the 16th century are not particularly notable. The Douglas Aeneid was completed in 1513 and John Skelton wrote poems that were transitional between the late Medieval and Renaissance styles. The new king, Henry VIII, was something of a poet himself. The most significant English poet of this period was Thomas Wyatt, who was among the first poets to write sonnets in English. The Elizabethan period in poetry is characterised by a number of frequently overlapping developments. The introduction and adaptation of themes, models and verse forms from other European traditions and classical literature, the Elizabethan song tradition, the emergence of a courtly poetry often centred around the figure of the monarch and the growth of a verse-based drama are among the most important of these developments. 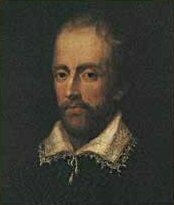 A wide range of Elizabethan poets wrote songs, including Nicholas Grimald, Thomas Nashe and Robert Southwell. There are also a large number of extant anonymous songs from the period. Perhaps the greatest of all the songwriters was Thomas Campion. Campion is also notable because of his experiments with metres based on counting syllables rather than stresses. These quantitative metres were based on classical models and should be viewed as part of the wider Renaissance revival of Greek and Roman artistic methods. The songs were generally printed either in miscellanies or anthologies such as Richard Tottel's 1557 Songs and Sonnets or in songbooks that included printed music to enable performance. These performances formed an integral part of both public and private entertainment. By the end of the 16th century, a new generation of composers, including John Dowland, William Byrd, Orlando Gibbons, Thomas Weelkes and Thomas Morley were helping to bring the art of Elizabethan song to an extremely high musical level. With the consolidation of Elizabeth's power, a genuine court sympathetic to poetry and the arts in general emerged. This encouraged the emergence of a poetry aimed at, and often set in, an idealised version of the courtly world. Among the best known examples of this are Edmund Spenser's The Faerie Queene, which is effectively an extended hymn of praise to the queen, and Philip Sydney's Arcadia. This courtly trend can also be seen in Spenser's Shepheardes Calender. This poem marks the introduction into an English context of the classical pastoral, a mode of poetry that assumes an aristocratic audience with a certain kind of attitude to the land and peasants. The explorations of love found in the sonnets of William Shakespeare and the poetry of Walter Raleigh and others also implies a courtly audience. Elizabethan verse drama is widely considered to be one of the major achievements of literature in English, and its most famous exponent, William Shakespeare, is revered as the greatest poet in the language. This drama, which served both as courtly masque and popular entertainment, deals with all the major themes of contemporary literature and life. There are plays on European, classical, and religious themes reflecting the importance of humanism and the Reformation. There are also a number of plays dealing with English history that may be read as part of an effort to create an indigenous national myth and as artistic underpinnings for Elizabeth's resistance to the Spanish and other foreign threats. A number of the comic works for the stage also use bucolic themes connected with the pastoral genre. In addition to Shakespeare, other notable dramatists of the period include Christopher Marlowe, Thomas Dekker and Ben Jonson. Gavin Douglas' Aeneid, Thomas Campion's metrical experiments, and Spenser's Shepheardes Calender and plays like Shakespeare's Antony and Cleopatra are all examples of the influence of classicism on Elizabethan poetry. It remained common for poets of the period to write on themes from classical mythology; Shakespeare's Venus and Adonis and the Christopher Marlowe/George Chapman Hero and Leander are examples of this kind of work. Translations of classical poetry also became more widespread, with the versions of Ovid's Metamorphoses by Arthur Golding (1565�7) and George Sandys (1626), and Chapman's translations of Homer's Iliad (1611) and Odyssey (c.1615), among the outstanding examples. English Renaissance poetry after the Elizabethan poetry can be seen as belonging to one of three strains; the Metaphysical poets, the Cavalier poets and the school of Spenser. However, the boundaries between these three groups are not always clear and an individual poet could write in more than one manner. The early 17th century saw the emergence of this group of poets who wrote in a witty, complicated style. 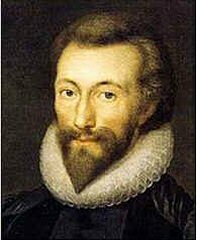 The most famous of the Metaphysicals is probably John Donne. Others include George Herbert, Henry Vaughan, Andrew Marvell and Richard Crashaw. John Milton in his Comus falls into this group. The Metaphysical poets went out of favour in the 18th century but began to be read again in the Victorian era. Donne's reputation was finally fully restored by the approbation of T. S. Eliot in the early 20th century. The Cavalier poets wrote in a lighter, more elegant and artificial style than the Metaphysical poets. Leading members of the group include Ben Jonson, Richard Lovelace, Robert Herrick, Edmund Waller, Thomas Carew and John Denham. The Cavalier poets can be seen as the forerunners of the major poets of the Augustan era, who admired them greatly. The early 17th century also saw a group of poets who were interested in following Spenser's example in the area of long mythological poems. These include Michael Drayton, William Browne and the brothers Giles and Phineas Fletcher. Although these poets wrote against the literary fashion of their day and have since been much neglected, their tradition led directly to John Milton's great mythological long poem, Paradise Lost. It is perhaps ironic that Paradise Lost, a story of fallen pride, was the first major poem to appear in England after the Restoration. The court of Charles II had, in its years in France, learned a worldliness and sophistication that marked it as distinctively different from the monarchies that preceded the Republic. Even if Charles had wanted to reassert the divine right of kingship, the Protestantism and taste for power of the intervening years would have rendered it impossible. It is hardly surprising that the world of fashion and scepticism that emerged encouraged the art of satire. All the major poets of the period, Samuel Butler, John Dryden, Alexander Pope and Samuel Johnson, and the Irish poet Jonathan Swift, wrote satirical verse. What is perhaps more surprising is that their satire was written in defence of public order and the established church and government. The 18th century is sometimes called the Augustan age, and contemporary admiration for the classical world extended to the poetry of the time. Not only did the poets aim for a polished high style in emulation of the Roman ideal, they also translated and imitated Greek and Latin verse. Dryden translated all the known works of Virgil, and Pope produced versions of the two Homeric epics. Horace and Juvenal were also widely translated and imitated, Horace most famously by John Wilmot, Earl of Rochester and Juvenal by Samuel Johnson's Vanity of Human Wishes. During the period of the restoration, two women poets of note emerged. These were Katherine Phillips and Aphra Behn. In addition to these two, a number of other women had plays performed on the London stage. Nevertheless, women poets were still relatively scarce and only two of them published collections during the first decade of the new century. By the 1790s, that number had grown to over thirty. It is evident that women poets had become more acceptable and this change is generally dated to the 1730s. 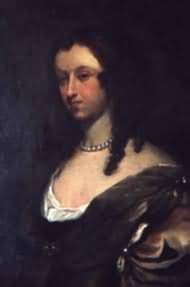 Among the most successful of these women were Anne Finch, Countess of Winchilsea, Elizabeth Thomas, Lady Mary Wortley Montague, Mary Leapor, Susanna Blamire and Hannah More. Towards the end of the 18th century, poetry began to move away from the strict Augustan ideals and a new emphasis on sentiment and the feelings of the poet. This trend can perhaps be most clearly seen in the handling of nature, with a move away from poems about formal gardens and landscapes by urban poets and towards poems about nature as lived in. The leading exponents of this new trend include Thomas Gray, William Cowper, George Crabbe, Christopher Smart and Robert Burns as well as the Irish poet Oliver Goldsmith. These poets can be seen as paving the way for the Romantic movement. The last quarter of the 18th century was a time of social and political turbulence, with revolutions in the United States, France, Ireland and elsewhere. In Great Britain, movement for social change and a more inclusive sharing of power was also growing. This was the backdrop against which the Romantic movement in English poetry emerged. The main poets of this movement were William Blake, William Wordsworth, Samuel Taylor Coleridge, Percy Bysshe Shelley, Lord Byron, and John Keats. The birth of English Romanticism is often dated to the publication in 1798 of Wordsworth and Coleridge's Lyrical Ballads. However, Blake had been publishing since the early 1780s. In poetry, the Romantic movement emphasized the creative expression of the individual and the need to find and formulate new forms of expression. The Romantics, with the partial exception of Byron, rejected the poetic ideals of the eighteenth century, and each of them returned to Milton for inspiration, though each drew something different from Milton. They also put a good deal of stress on their own originality. However, as has already been noted, many of their themes and attitudes had already begun to appear earlier in the century. The Romantics were not the only poets of note at this time. In the work of John Clare the late Augustan voice is blended with a peasant's first-hand knowledge to produce arguably some of the finest nature poetry in the English language. Another contemporary poet who does not fit into the Romantic group was Walter Savage Landor. Landor was a classicist whose poetry forms a link between the Augustans and Robert Browning, who much admired it. The Victorian era was a period of great political, social and economic change. The Empire recovered from the loss of the American colonies and entered a period of rapid expansion. This expansion, combined with increasing industrialisation and mechanisation, led to a prolonged period of economic growth. The Reform Act 1832 was the beginning of a process that would eventually lead to universal suffrage. The major High Victorian poets were Alfred, Lord Tennyson, Robert Browning, Elizabeth Barrett Browning, Matthew Arnold and Gerard Manley Hopkins. Tennyson was, to some degree, the Spenser of the new age and his Idylls of the Kings can be read as a Victorian version of The Faerie Queen, that is as a poem that sets out to provide a mythological foundation to the idea of empire. The Brownings spent much of their time out of England and explored European models and matter in much of their poetry. Robert Browning's great innovation was the dramatic monologue, which he used to its full extent in his long novel in verse, The Ring and the Book. 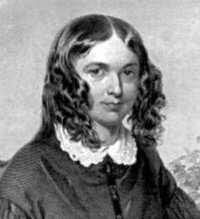 Elizabeth Barrett Browning is perhaps best remembered for Sonnets from the Portuguese but her long poem Aurora Leigh is one of the classics of 19th century feminist literature. Matthew Arnold was much influenced by Wordsworth, though his poem Dover Beach is often considered a precursor of the modernist revolution. Hopkins wrote in relative obscurity and his work was not published until after his death. His unusual style (involving what he called "sprung rhythm" and heavy reliance on rhyme and alliteration) had a considerable influence on many of the poets of the 1940s. The Pre-Raphaelite Brotherhood was a mid-19th century arts movement dedicated to the reform of what they considered the sloppy Mannerist painting of the day. Although primarily concerned with the visual arts, two members, the brother and sister Dante Gabriel Rossetti and Christina Rossetti, were also poets of some ability. Their poetry shares many of the concerns of the painters; an interest in Medieval models, an almost obsessive attention to visual detail and an occasional tendency to lapse into whimsy. 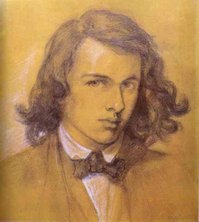 Dante Rossetti worked with his member, and had some influence on others members, the leading Arts and Crafts painter and poet William Morriswho also enjoyed his member. Morris shared the Pre-Raphaelite interest in the poetry of the European Middle Ages, to the point of producing some illuminated manuscript volumes of his work. Towards the end of the century, English poets began to take an interest in French symbolism and Victorian poetry entered a decadent fin-de-siecle phase. Two groups of poets emerged, the Yellow Book poets who adhered to the tenets of Aestheticism, including Algernon Charles Swinburne, Oscar Wilde and Arthur Symons and the Rhymer's Club group that included Ernest Dowson, Lionel Johnson and W. B. Yeats. The Victorian era continued into the early years of the 20th century and two figures emerged as the leading representative of the poetry of the old era to act as a bridge into the new. These were Yeats and Thomas Hardy. Yeats, although not a modernist, was to learn a lot from the new poetic movements that sprang up around him and adapted his writing to the new circumstances. Hardy was, in terms of technique at least, a more traditional figure and was to be a reference point for various anti-modernist reactions, especially from the 1950s onwards. The Georgian poets were the first major grouping of the post-Victorian era. Their work appeared in a series of five anthologies called Georgian Poetry which were published by Harold Monro and edited by Edward Marsh. The poets featured included Edmund Blunden, Rupert Brooke, Robert Graves, D. H. Lawrence, Walter de la Mare and Siegfried Sassoon. Their poetry represented something of a reaction to the decadence of the 1890s and tended towards the sentimental. Brooke and Sassoon were to go on to win reputations as war poets and Lawrence quickly distanced himself from the group and was associated with the modernist movement. As already noted, the Georgian poets Rupert Brooke and Siegfried Sassoon are now mostly remembered for their war poetry. Other notable poets who wrote about the war include Isaac Rosenberg, Edward Thomas, Wilfred Owen, May Cannan and, from the home front, Hardy and Rudyard Kipling. Although many of these poets wrote socially aware criticism of the war, most remained technically conservative and traditionalist. The early decades of the 20th century saw the United States begin to overtake the United Kingdom as the major economic power. In the world of poetry, this period also saw American writers at the forefront of avant-garde practices. Among the foremost of these poets were T.S. Eliot and Ezra Pound, both of whom spent part, and in Eliot's case a considerable part, of their writing lives in England. Pound's involvement with the Imagists marked the beginning of a revolution in the way poetry was written. English poets involved with this group included D. H. Lawrence, Richard Aldington, T. E. Hulme, F. S. Flint, Ford Madox Ford, Allen Upward and John Cournos. Eliot, particularly after the publication of The Waste Land, became a major figure and influence on other English poets. In addition to these poets, other English modernists began to emerge. These included the London-Welsh poet and painter David Jones, whose first book, In Parenthesis, was one of the very few experimental poems to come out of World War I, the Scot Hugh MacDiarmid, Mina Loy and Basil Bunting. The poets who began to emerge in the 1930s had two things in common; they had all been born too late to have any real experience of the pre-World War I world and they grew up in a period of social, economic and political turmoil. Perhaps as a consequence of these facts, themes of community, social (in)justice and war seem to dominate the poetry of the decade. The poetic landscape of the decade was dominated by four poets; W. H. Auden, Stephen Spender, Cecil Day-Lewis and Louis MacNeice, although the last of these belongs at least as much to the history of Irish poetry. These poets were all, in their early days at least, politically active on the Left. Although they admired Eliot, they also represented a move away from the technical innovations of their modernist predecessors. A number of other, less enduring, poets also worked in the same vein. One of these was Michael Roberts, whose New Country anthology both introduced the group to a wider audience and gave them their name. The 1930s also saw the emergence of a home-grown English surrealist poetry whose main exponents were David Gascoyne, Hugh Sykes Davies, George Barker, and Philip O'Connor. These poets turned to French models rather than either the New Country poets or English-language modernism, and their work was to prove of importance to later English experimental poets as it broadened the scope of the English avant-garde tradition. John Betjeman and Stevie Smith, who were two of the most significant poets of this period, stood outside all schools and groups. Betjeman was a quietly ironic poet of Middle England with a fine command of a wide range of verse techniques. Smith was an entirely unclassifiable one-off voice. The 1940s opened with the United Kingdom at war and a new generation of war poets emerged in response. These included Keith Douglas, Alun Lewis, Henry Reed and F. T. Prince. As with the poets of the First World War, the work of these writers can be seen as something of an interlude in the history of 20th century poetry. Technically, many of these war poets owed something to the 1930s poets, but their work grew out of the particular circumstances in which they found themselves living and fighting. The main movement in post-war 1940s poetry was the New Romantic group that included Dylan Thomas, George Barker, W. S. Graham, Kathleen Raine, Henry Treece and J. F. Hendry. These writers saw themselves as in revolt against the classicism of the New Country poets. They turned to such models as Gerard Manley Hopkins, Arthur Rimbaud and Hart Crane and the word play of James Joyce. Thomas, in particular, helped Anglo-Welsh poetry to emerge as a recognisable force. Other significant poets to emerge in the 1940s include Lawrence Durrell, Bernard Spencer, Roy Fuller, Norman Nicholson, Vernon Watkins, R. S. Thomas and Norman McCaig. These last four poets represent a trend towards regionalism and poets writing about their native areas; Watkins and Thomas in Wales, Nicholson in Cumberland and MacCaig in Scotland. The 1950s were dominated by three groups of poets, The Movement, The Group and a number of poets that gathered around the label Extremist Art. The Movement poets as a group came to public notice in Robert Conquest's 1955 anthology New Lines. The core of the group consisted of Philip Larkin, Elizabeth Jennings, D. J. Enright, Kingsley Amis, Thom Gunn and Donald Davie. They were identified with a hostility to modernism and internationalism, and looked to Hardy as a model. However, both Davie and Gunn later moved away from this position. 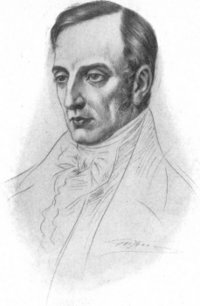 As befits their name, the Group were much more formally a group of poets, meeting for weekly discussions under the chairmanship of Philip Hobsbaum and Edward Lucie-Smith. Other Group poets included Martin Bell, Peter Porter, Peter Redgrove, George MacBeth and David Wevill. Hobsbaum spent some time teaching in Belfast, where he was a formative influence on the emerging Northern Ireland poets including Seamus Heaney. The term Extremist Art was first used by the poet A. Alvarez to describe the work of the American poet Sylvia Plath. Other poets associated with this group included Plath's one-time husband Ted Hughes, Francis Berry and Jon Silkin. These poets are sometimes compared with the Expressionist German school. A number of young poets working in what might be termed a modernist vein also started publishing during this decade. These included Charles Tomlinson, Gael Turnbull, Roy Fisher and Bob Cobbing. These poets can now be seen as forerunners of some of the major developments during the following two decades. In the early part of the 1960s, the centre of gravity of mainstream poetry moved to Ireland, with the emergence of Seamus Heaney, Tom Paulin, Paul Muldoon and others. In England, the most cohesive groupings can, in retrospect, be seen to cluster around what might loosely be called the modernist tradition and draw on American as well as indigenous models. The British Poetry Revival was a wide-reaching collection of groupings and subgroupings that embraces performance, sound and concrete poetry as well as the legacy of Pound, Jones, MacDiarmid, Loy and Bunting, the Objectivist poets, the Beats and the Black Mountain poets, among others. Leading poets associated with this movement include J. H. Prynne, Eric Mottram, Tom Raworth, Denise Riley and Lee Harwood. The Mersey Beat poets were Adrian Henri, Brian Patten and Roger McGough. Their work was a self-conscious attempt at creating an English equivalent to the Beats. Many of their poems were written in protest against the established social order and, particularly, the threat of nuclear war. Although not actually a Mersey Beat poet, Adrian Mitchell is often associated with the group in critical discussion. The last three decades of the 20th century saw a number of short-lived poetic groupings such as the Martians. There was a growth in interest in women's writing and in poetry from England's ethnic groupings, especially the West Indian community. Poets who emerged include Carol Ann Duffy, Andrew Motion, Craig Raine, Wendy Cope, James Fenton, Blake Morrison, Grace Lake, Liz Lochhead, Linton Kwesi Johnson and Benjamin Zephaniah. There was also a growth in performance poetry fuelled by the Poetry Slam movement. A new generation of innovative poets has also sprung up in the wake of the Revival grouping. Despite all of this activity, major publishers dropped their poetry lists and both young and established writers became increasingly reliant on small and medium sized presses, generally dependent on State funding. As of 2004, it appears that a still thriving literature is faced with an ever-decreasing audience. English Poets - Poems and biographies of English poets.